Eloise Rushing Ross, 88, March 13, 2018 went to be with her heavenly Father. 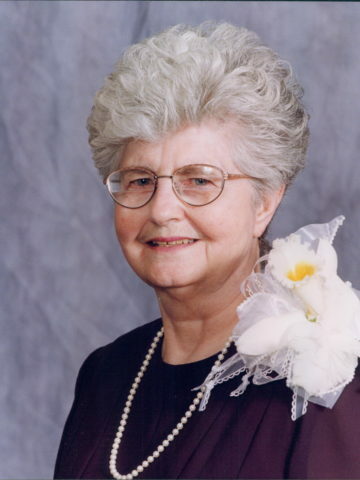 She was a writer, reader, learner, believer, Sunday School teacher, friend, mother, seamstress, secretary, preacher’s wife, and member of the Crieve Hall Church of Christ. She graduated from Clarksburg High School, attended Nashville Business College, and explored her interests at Watkins Institute. She wrote a book of poetry and a family history. Eloise was secretary for both Dr. Ira North at Madison Church of Christ and TN Congress of Parents and Teachers. After raising three children, she was secretary for Liberty Mutual Ins. Co.
Eloise touched the lives of those around her by her quiet kindness and gentleness. She was known to be a patient and humble servant. A Proverbs 31 woman in most every sense: A consummate mother, grandmother, wife, and friend. Later in life she was noted for her thankfulness and sense of humor. Eloise was preceded in death by her husband, Carl Kelly Ross, daughter, Janet Ross, and parents Luther and Floy Rushing. She leaves behind her daughter, Betsy Ketsdever (Tom); son, Brian Ross; and grandson Nathan Samuel Ketsdever, all of Nashville. She also leaves 3 brothers: George Rushing (Charleen) of Hendersonville; Laws Rushing (Marilyn) of Finger; and Frank Rushing (Debbie) of Jackson, as well as a multitude of nieces and nephews. Visitation will be at West Harpeth Funeral Home, Sunday, March 18th, 2 pm - 6 pm and at the church, Monday, March 19th, 10 am - 12 noon. Services will be at noon on Monday, March 19th at Crieve Hall Church of Christ with Bill Watkins officiating. Interment to follow in Harpeth Hills Memory Gardens. In Lieu of flowers donations may be made to Crieve Hall Church of Christ. I am so sorry for your loss, but I have such wonderful memories of your family! Reading book after book with Janet, riding the go-cart with Brian, listening to the Beatles with Betsy, and through it all , Ms. Eloise with her quite steadfast love! All the Ballingers send their love, admiration, and prayers! So sorry to hear of your loss. She has worked all her life to take this trip and she is there. I know that she is missed by all of her friends and family. I only met her the one time at Marla Flannary’s house. Take care and know that our thoughts and prayers are with you. So sorry for your loss. I can remember Eloise and her daughter coming to church at Clarksburg. In her later years, she would contact me by phone to ask about family. I know you will truly miss her.